Friends, I didn't intend to drop off the face of the blogging earth when I hit the road for our Prince Edward Island getaway. But here's the thing: when one finds oneself at the beach, away from wifi, and then one uses all of one's data to watch the Democratic National Convention speeches (because one has no TV). Well, blogging then takes a vacay too. I'm cooking up a few posts to share when there's a rainy day and I can make it over to the tourist info centre to use the wifi. 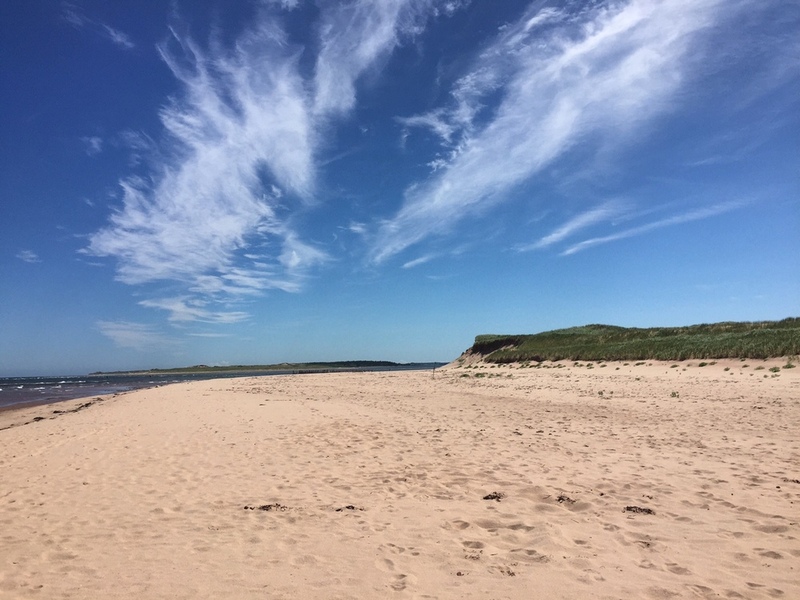 Meanwhile, please enjoy this photo above of St. Peter's Harbour Beach, Prince Edward Island, Canada, site of this morning's beach walk. Talk soon.